Outstanding stability combined with easy operation and a timeless design are the strengths of the Avantgarde XXL 2, which was developed to meet the needs of large, strong people. 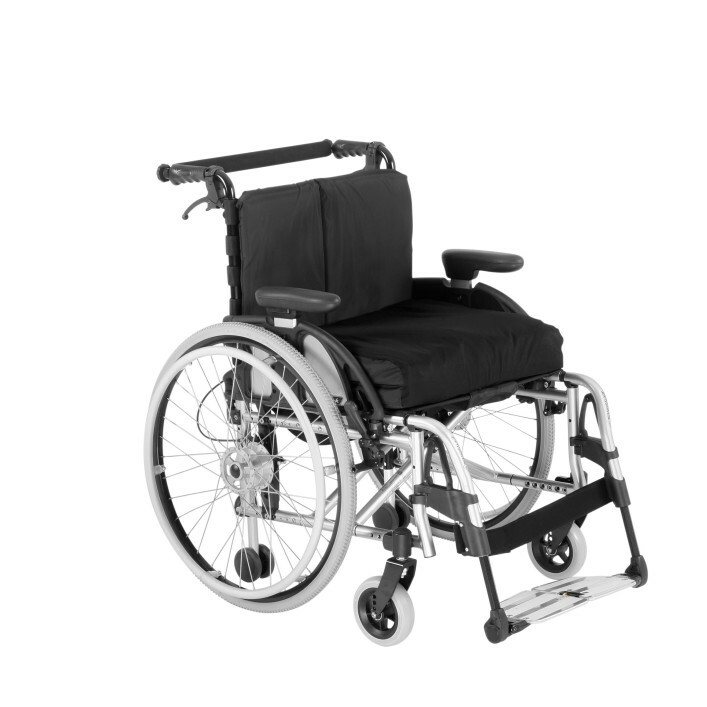 The robust base structure offers high reliability in any situation. The choice of high-quality materials keeps the net weight as low as possible. 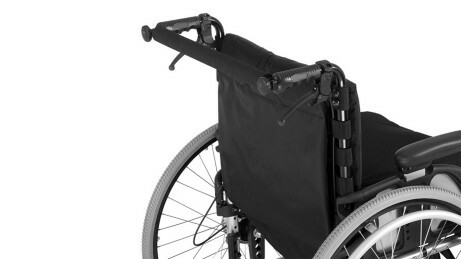 For optimum adaptability of the seating position, the back upholstery is provided with adjustable hook-and-loop straps. 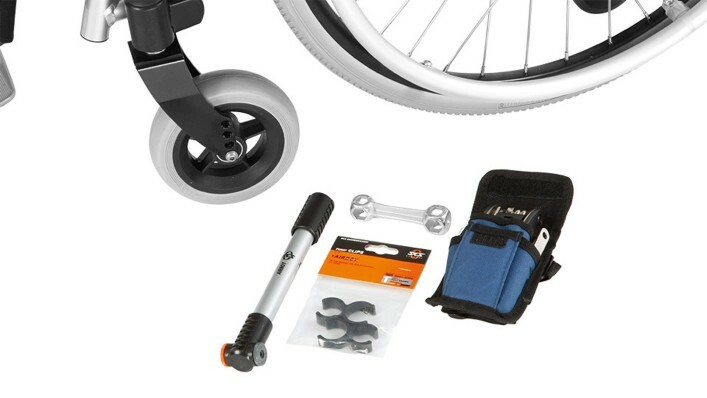 The proven, sturdy knee lever wheel lock requires little activation force and reliably prevents the wheelchair from rolling away unintentionally. 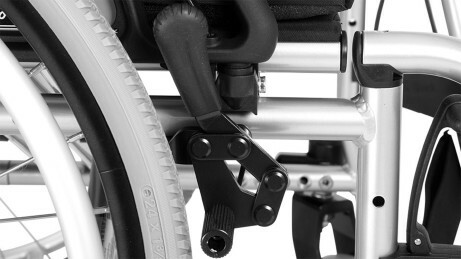 The offset swivel segments ensure easy access to the release levers and simultaneously realise easy leg positioning. 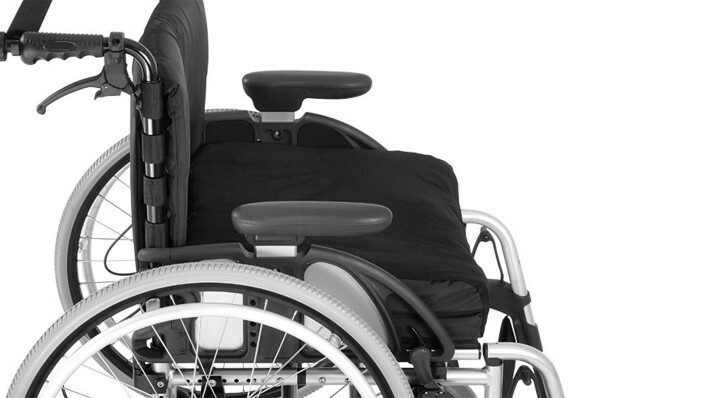 The back stabiliser is recommended for large seat widths in particular. 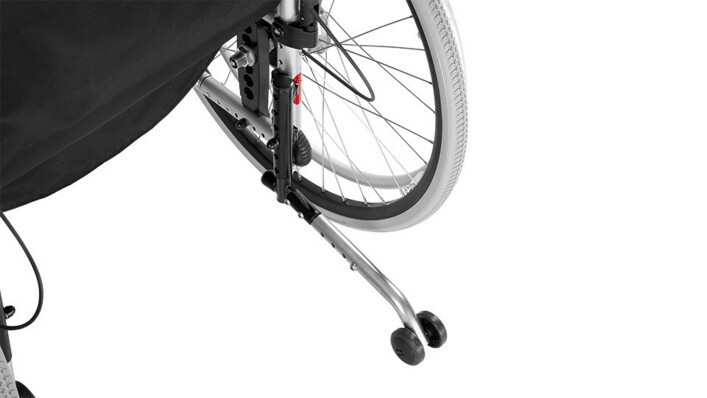 It can be released on one side and swung away for folding. 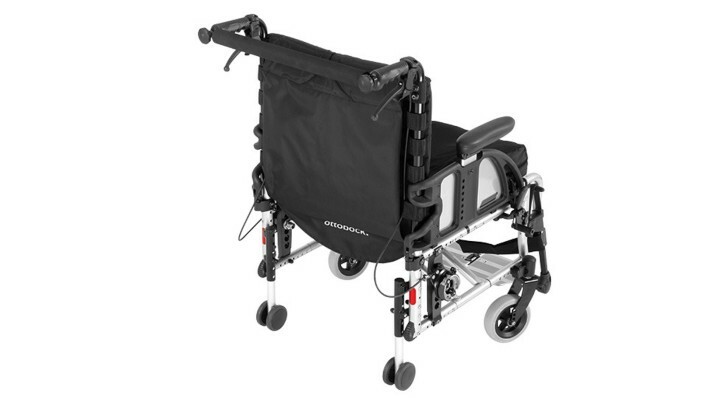 The drum brake for attendants allows the attending person to secure the wheelchair from rolling away when required, or to brake while driving downhill. 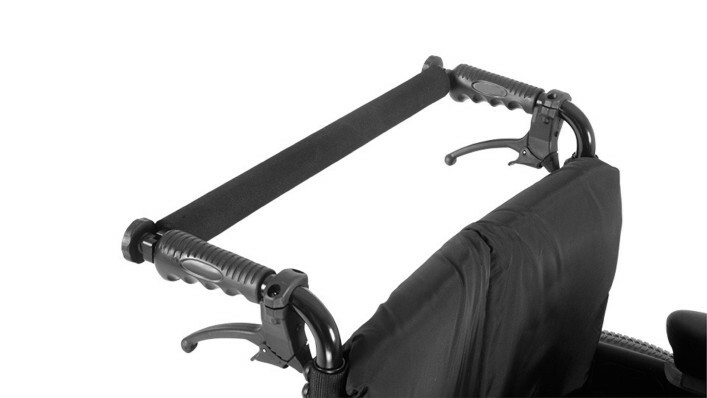 The side panels with an asymmetrical armrest are used when only single-point forearm support is desired. 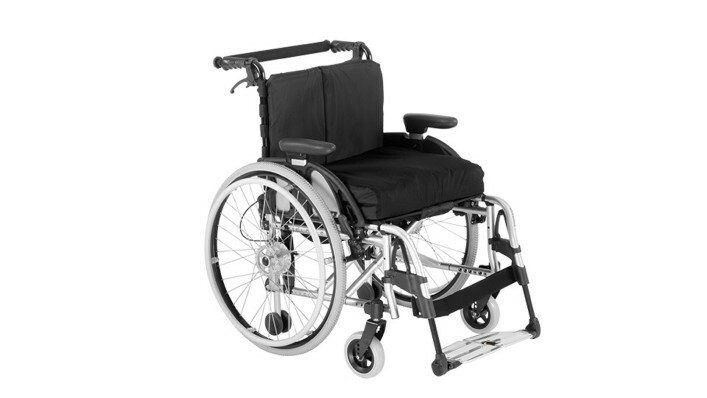 The transport wheels serve to negotiate narrow passages, such as elevator or bathroom doors, with the drive wheels removed. 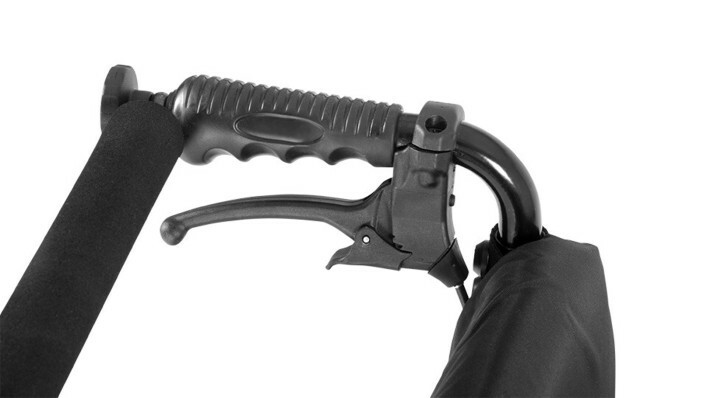 The anti-tipper is spring-loaded and features an extremely sturdy design. 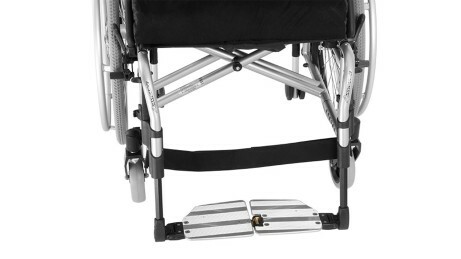 It reliably prevents the wheelchair from tipping over backwards and can be swung away comfortably with foot operation. 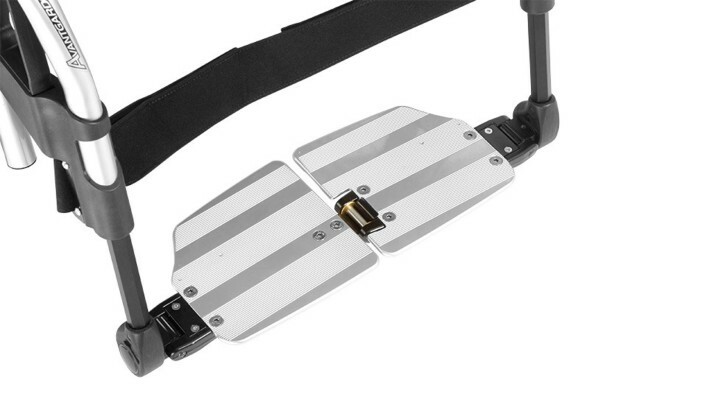 The segmented aluminium footplates are centrally locked for use, further enhancing the stability of the front frame. The tool kit is used to perform minor adjustments and maintenance tasks directly on site when required.